Wherever he goes, Deonte Burton tends to draw a crowd of defenders. He also is attracting some not-so-secret admirers of another kind. 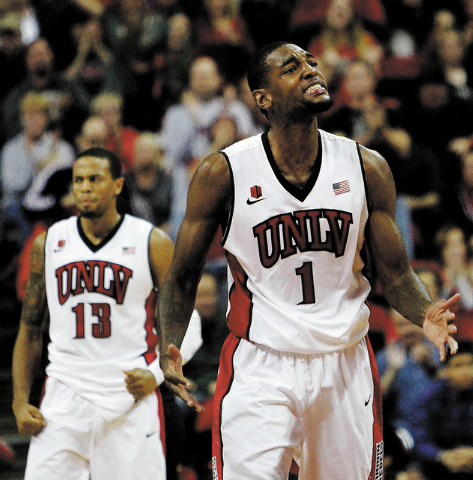 “I know we’ve got NBA scouts at every game,” UNR coach David Carter said. A year ago, Burton was the best player on the worst team in the Mountain West. Now, the 6-foot-1-inch senior point guard is the conference’s leading scorer, and the Wolf Pack are tied atop the standings. Burton’s rise is less of a surprise and more likely to be sustained. He figures to be a major factor for about 38 minutes of the game when UNLV (10-5, 1-1) hosts UNR (7-8, 2-0) at 6:15 p.m. today at the Thomas &Mack Center. Burton is the Division I leader in minutes per game (39.1) and has played 233½ consecutive minutes. But he could get a break against the Rebels because his backup, Marqueze Coleman, is returning from a right eye injury. UNLV coach Dave Rice has a comprehensive scouting report on Burton, but he didn’t expect to need it this season. Burton and Malik Story carried the Wolf Pack last season, when they went 3-13 and finished last in the league. UNR’s second run through the Mountain West is off to a far better start after victories over San Jose State and Wyoming. Carter reshaped his roster when Story and several other key players departed. Michael Perez, a transfer guard from Texas-El Paso, and 6-9 forward AJ West, another transfer who has played just four games, are contributing to the Wolf Pack’s new identity. Carter now has a team that is regarded as physical instead of purely finesse. “Last year’s team really wanted to outscore you. In this league, it’s more about defense and rebounding, and we learned that the hard way last year,” Carter said. “Your front-line guys have to be tough. I think that’s an important part of the Mountain West. The Rebels also boasted about better play until Air Force stopped their their seven-game win streak Saturday. Because of the Falcons’ unique style of play, Carter said he might not even watch the game tape. UNR is off a 61-58 victory over Wyoming, a team it lost to three times last season. Burton drove the lane and hit the go-ahead shot with 32 seconds to go. 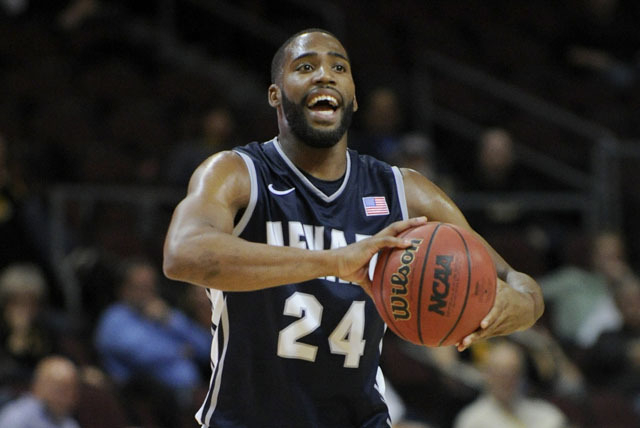 Burton is averaging 21.8 points, ranking 11th in the nation, as one of four double-figure scorers for the Wolf Pack. He is fourth in program history with 1,786 points and is about to make his 114th career start. “Deonte doesn’t have to do everything for us. We have much more balance on the offensive end,” Carter said. “I think he’s going to be a good fit at the next level because of his character. He’s such a good kid, and he’s got a great work ethic. Contact reporter Matt Youmans at myoumans@reviewjournal.com or 702-387-2907. Follow him on Twitter: @mattyoumans247.